Une VF - ou tout autre doublage - coute extrêmement cher tant en casting, enregistrement, implémentation et lip syncing. Surtout pour un jeu aussi bavard que Vampyr. @unrealtw This kind of "last-day-of-the-month" dates are generally placeholders. It's even more true here considering September 30 of this year is a Sunday. Extra screenshots & teaser trailer of "DONTNOD Presents Vampyr" added! The four episodes will also be added in the following weeks as they are released. Vampyr certainly looks ambitious and it feels like it has the potential to compete with triple-A RPGs. 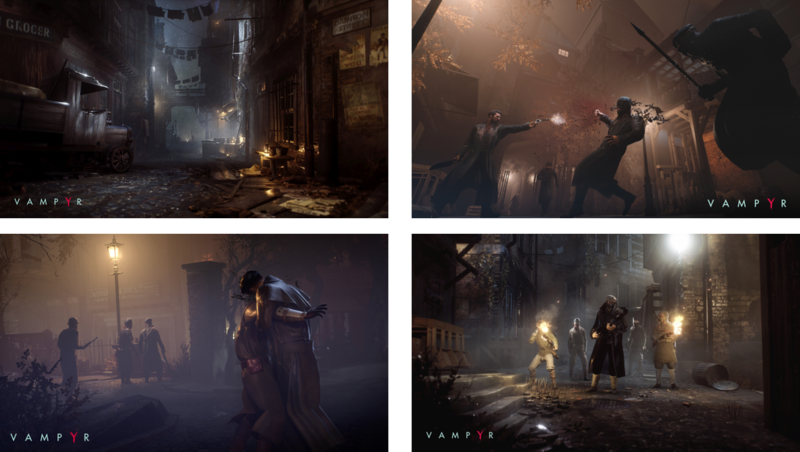 How have you invested in Vampyr compared to your previous titles? It is bigger than our previous titles, but is on-par with other games currently in production at Focus which will be released after Vampyr. Our budgets, even if they do increase, are that of games filling the space between blockbusters and independent games. It is true that the game is impressive and has a strong personality, but because of its budget, it is not a triple-A. However, the universe, theme and quality of the game all allow it to exist in stores next to the blockbusters. But this is also currently true for many games with smaller budgets, on less retail-focused platforms such as PC. Audiences have evolved a lot during the past few years. Players yearn for new experiences, originality and less generic direction. There’s room for blockbusters, but players are ever fonder of different experiences. What are your sales expectations for the title? It is always very difficult to make forecasts with a brand new IP. The game benefits from a solid budget, superior to most independent video games, however it is not a blockbuster, whose budget would be over €50m. From our investment, it will be considered a success when around a million copies are sold, but it will only need half of that to be profitable. These are numbers we now reach and exceed regularly with most our games. 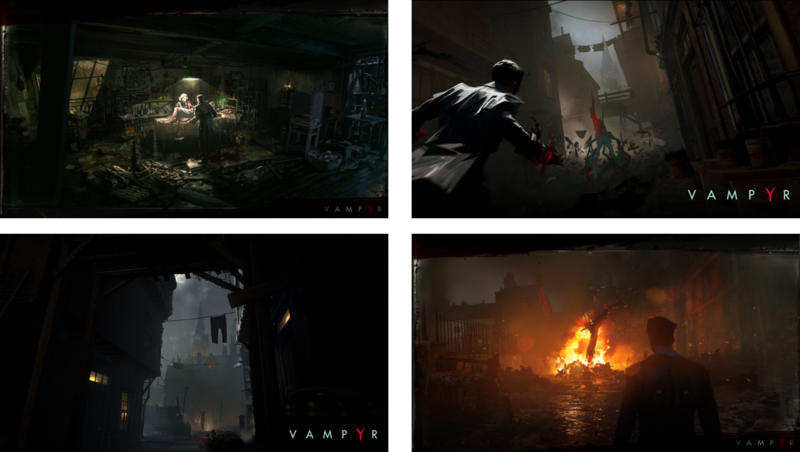 Vampyr benefits from strong recognition and expectations, which will only increase over the coming weeks. It has everything it needs to become a nice surprise on the market. How long are you going to support the title? This is a purely solo experience; we did not plan DLC. We would prefer, if the reception of the game justifies it, to think about a sequel. We and Dontnod already have some ideas, as there’s so many incredible things to offer in such a universe. 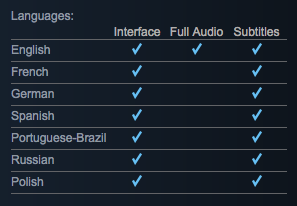 Demo is up on PSN, XBL and Steam (if not, should be a matter of time before your store is updated). Haven't check elsewhere, but the game is on sale on PSN (Euro) too (40 bucks)! That's a really good game, people. Give it a try. Quick thread if you are out of the loop regarding the content already put online by Focus Home Interactive for the game. I'll try to keep it updated until release. · Episode I "Making Monsters"
· Episode II "Architects of the Obscure"
· Episode III "Human After All"
· Episode IV "Stories From the Dark"
Feel free to comment if something's missing! Edit 03.05.2018: Gameplay Trailer ("Becoming the Monster") added. Nice interview mostly about the lore of the game but also its semi-open-world or some gameplay mechanics. Link here. I don't think there has been an official announcement for it, but a DLC is indeed is the making.